Lionsgate Release Final 'DREDD 3D' Poster Featuring Karl Urban Overlooking A Blazing Mega City 1! Lionsgate have revealed via Yahoo! 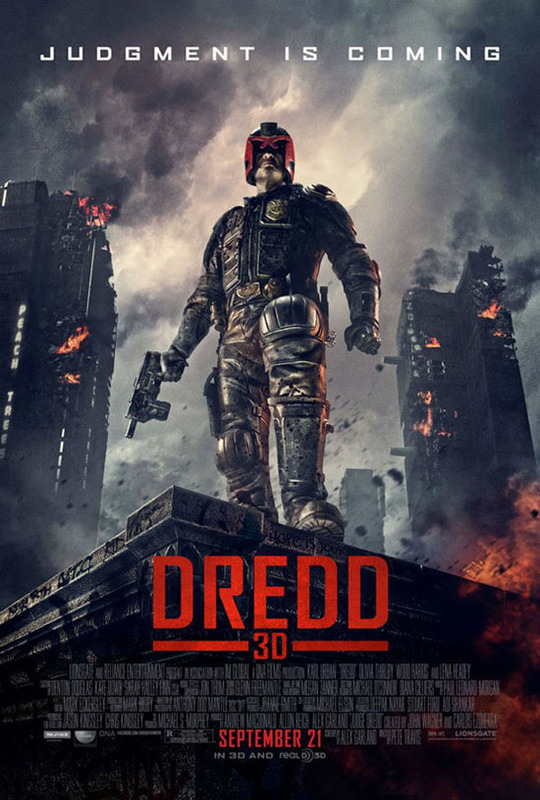 Movies the final poster for their upcoming Dredd 3D. Pete Travis directes the latest big screen action thriller adaption that opens in 3D & 2D theaters this September 21st. Alex Garland penned the R-rated movie which stars Karl Urban, Olivia Thirlby, Lena Headey, Deobia Oparei, Wood Harris, Jason Cope & Domhnall Gleeson. I'm reading: Lionsgate Release Final 'DREDD 3D' Poster Featuring Karl Urban Overlooking A Blazing Mega City 1!Tweet this!